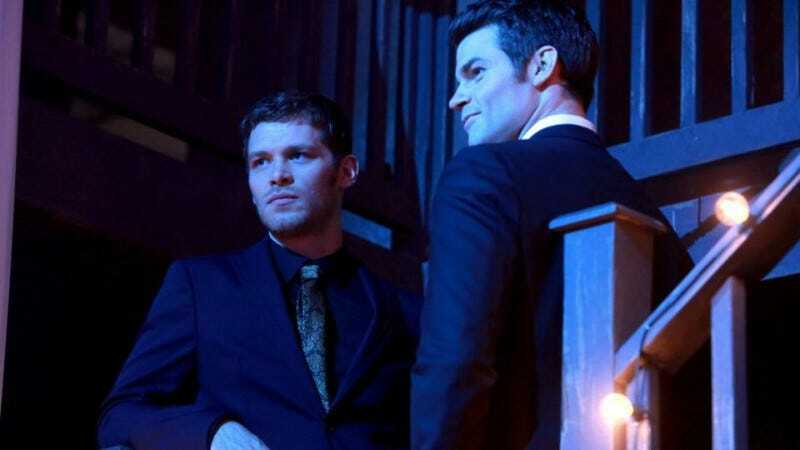 The CW’s Vampire Diaries spin-off The Originals was just picked up for a fifth season back in May, but now showrunner Julie Plec has revealed that the show’s fifth season will also be its last. This news comes a little over a year after Plec announced that The Vampire Diaries itself would be ending after its then-upcoming eighth season, so it seems like it’s going to be a tradition now for the opening days of San Diego Comic-Con to be a miserable time for fans of vampire romance. Maybe next year they’ll decide to cancel both shows again just to make everyone feel bad. Plec shared a statement about the end of The Originals on Twitter, saying that it’s “both a gift and a burden to be able to control the ending of a series,” so at least it seems like she and the rest of the Originals team will have time to put together a real finale. She also teases that “it’s never really the end of the story” when you’re dealing with a family of vampires and all of their undead friends, so maybe we’ll see more of this universe someday.